The United States on Monday warned the International Criminal Court against prosecution of US or Israeli officials for war crimes in the Middle East. 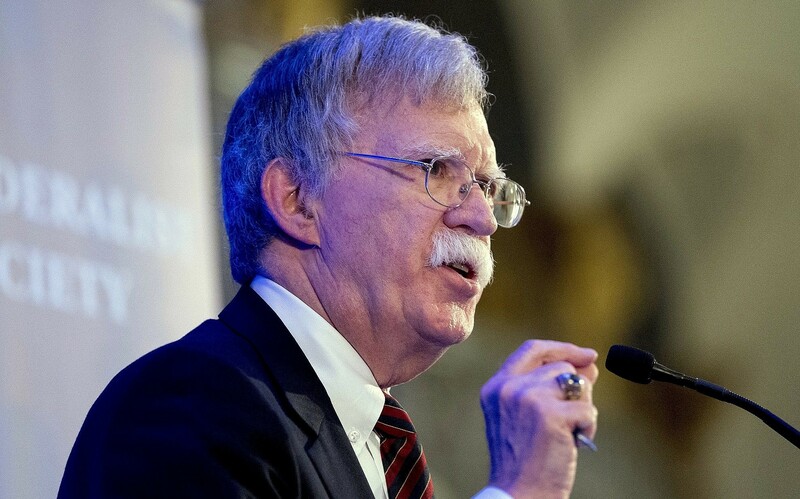 Bolton said the State Department’s decision to close the Palestinian Liberation Organization’s offices in Washington reflected “congressional concern with Palestinian attempts to prompt an ICC investigation of Israel. Experts expect the US president to use the occasion to mobilize international support for renewed economic sanctions. “[President Trump] is looking to mobilize the support of the international community, especially the signatories of the Iran nuclear deal,” with regards to economic sanctions, Dr. Raz Zimmt, a Senior Research Fellow at the Tel Aviv-based Institute for National Security Studies, asserted to The Media Line. “[The Iranians] consider Trump’s appearance as a provocation and they expect him to use this opportunity to attack Iran,” he elaborated. “The main question is whether Trump wants to use this opportunity to arrange a meeting with [Iranian] President Hassan Rouhani, assuming he will be attending. We still don’t know because Zarif might be sent instead. My assessment is that Tehran will [anyways] never agree to that meeting. “All we will see is continued anti-Iranian rhetoric so I don’t think [Trump’s speech] will change anything in particular,” Dr. Zimmt predicted. “Each side is just going to use this opportunity to express their stance.” Dr. Eldad Pardo, an Iran expert at the Hebrew University in Jerusalem, stressed to The Media Line that reining in Tehran is a “major foreign policy issue for the US” and that the UNSC meeting would be geared towards getting the Islamic Republic back to the negotiating table. “Trump wants to change Iran’s behavior by exerting a lot of pressure on it,” he explained. “Most of all, the US would like to see Iran give up its nuclear ambitions” and destabilizing activities in the region. “In order to pressure Iran, you need to rebuild the crippling sanctions and for this you need an international coalition,” Dr. Zimmt noted, arguing that other nations would likely abide by Washington’s demands in order to maintain crucial diplomatic and trade ties. A second batch of US sanctions targeting Iran’s oil sector will take effect in November, with a report this week by Oxford Economics suggesting that the new penalties will “cripple the [Iranian] economy” which could to contract by as much as 4 percent next year. The Security Council session is slated to take place on September 26 during the annual opening of UN General Assembly in New York. Charles Bybelezer contributed to this report. Iran has completed a facility to build advanced centrifuges, Iran’s nuclear chief was quoted on Sunday as saying, as Tehran prepares to increase its uranium-enrichment capacity if the nuclear deal collapses after the United States exits. 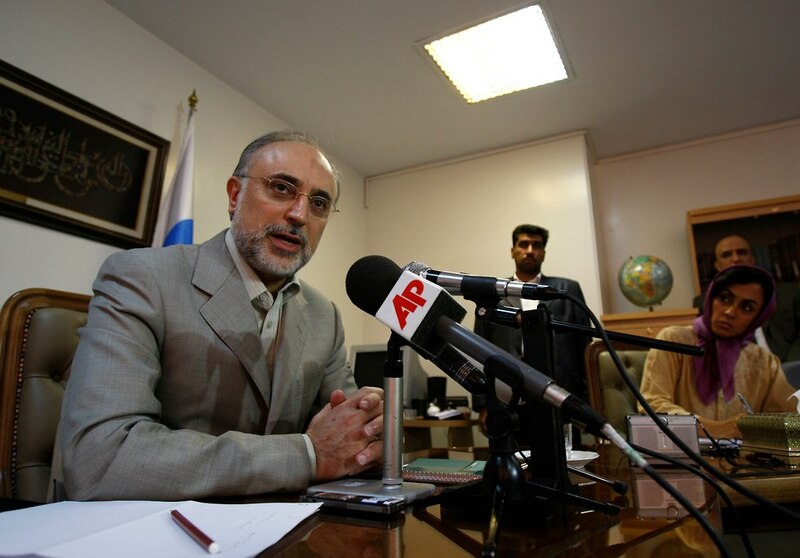 In June, Ali Akbar Salehi, the head of the Atomic Energy Organization of Iran, said the facility at the Natanz nuclear plant would be completed within a month. Salehi’s statement in June came days after Supreme Leader Ayatollah Ali Khamenei said he had ordered preparations to increase the country’s uranium enrichment capacity if the nuclear agreement with world powers collapsed. Salehi said Iran’s announced plans to build nuclear reactors for ships, while staying within the limits set by its atomic deal with major powers, was “advancing well but would take 10 to 15 years to complete”, IRNA said. “A third step (in reaction to the US withdrawal) might be to suspend some of the limitations within the nuclear agreement, for example on the volume and level of enrichment,” Salehi said, according to IRNA. “And the final scenario can be a complete exit from the nuclear accord, which I hope will never happen, with the help of (remaining signatories), because everyone would suffer,” Salehi added. Iranian officials have said they would decide whether to quit the 2015 nuclear deal after studying a planned European package of economic measures that could help offset US sanctions. “He has decided to sabotage the US relationship with Cuba, and hurt the Climate Deal,” said Salehi. “Trump has always believed that the nuclear accord was bad for the US and its allies in the Middle East, Israel and Saudi Arabia,” he continued. Following Iranian President Hassan Rouhani’s statement on Saturday saying that the United States is continually sending messages to the Islamic republic asking it to begin negotiations, Salehi implied that Trump has a lot to gain from such a move. “Trump understands Iran’s power, and can become a legend in his own lifetime if he manages to sign a new financial and political agreement with it,” Iran’s nuclear chief opined. Salehi also said that Iran was willing to discuss other matters alongside the nuclear deal but Supreme Leader Ayatollah Ali Khamenei refused, saying the US cannot be trusted since it breaks all of its promises. “Trump quitting the deal reinforces that decision,” he said. 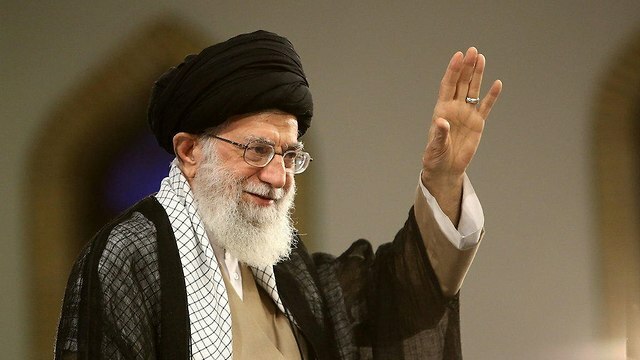 “Even prior to the nuclear deal, Khamenei approved sporadic talks with US officials. Iranian and US ambassadors secretly met in Baghdad,” Salehi disclosed. He added that Khamenei have said recently that the meeting between Iran’s Foreign Minister Mohammad Javad Zarif and Former US Secretary of State John Kerry was a mistake, since he did not approve it personally. They must have changed the name of the operation, it was “Operation Orchard” previously I believe. 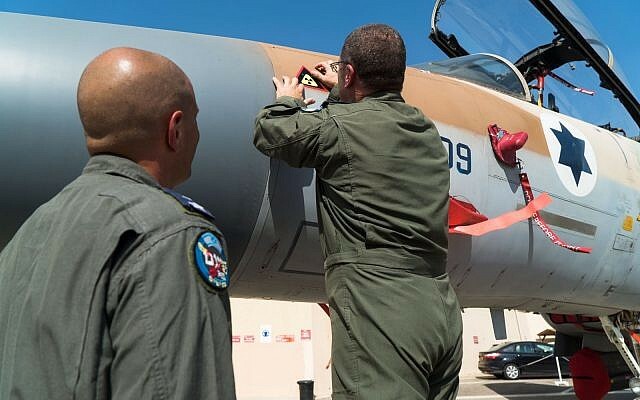 The Israeli Air Force marked the 11-year anniversary of its destruction of Bashar Assad’s secret nuclear reactor, in a ceremony that saw special markings placed on the warplanes that took part in the strike. The strike against the reactor in the Deir el-Zour region of Syria took place on the night between September 5 and 6, 2007, but was only officially acknowledged by Israel earlier this year. The reactor had become operational a short time earlier, leading then-prime minister Ehud Olmert to order its destruction. Three squadrons took part in the attack, dubbed by the military “Operation Outside the Box”: Squadron 69, known as “Hapatishim,” or “The Hammers” flying F-15i fighters; Squadron 119, “Ha’atalef,” or “The Bat” and Squadron 253, “The Negev,” flying F-16is. The ceremony at the Hatzerim Air Force Base, west of Beersheba, saw the marking of the planes from squadrons 69 and 253. Squadron 119’s planes will be marked in a separate ceremony on September 14. Pilots who took part in the operation, technical crews who armed the planes in 2007 and the commander of Squadron 69, Lt. Col. G., placed on the planes stickers bearing the symbol of the operation, the army said in a statement. The symbol includes a triangle, symbolizing an attack and painted in the colors of the Syrian flag, with a radioactivity symbol at its center, symbolizing the nuclear reactor. Israel armed Syrian rebels to fight Iranian proxies? Below this article from the JPost I have copied in a link to the source Foreign Policy article. The picture of the tanks is from the FP article. I wouldn’t mind having a large version of this pic up on my wall at home…. According to foreign reports, Israel’s aim in providing weapons and cash to rebel groups in Operation Good Neighbor was to keep troops belonging to Hezbollah and Iran away from Israel’s border. Israel reportedly armed and funded at least 12 rebel groups in southern Syria to prevent Iranian-sponsored insurgents affiliated with Islamic State from becoming embedded near the Golan, according to a report in Foreign Policy magazine. Testimonies from more than 20 commanders in Foreign Policy noted that Israel supplied the weapons and cash to rebel groups throughout “Operation Good Neighbor” – launched in 2016 and shut down in July once the Assad regime regained control of the Syrian side of the Golan Heights – to keep troops belonging to Hezbollah and Iran away from the border of the Israeli-controlled Golan Heights. On Monday, the IDF maintained its position that the IDF did not interfere in the Syrian Civil War. In addition to allocating funds for Syrian insurgents to purchase arms on the Syrian black market, Israel reportedly paid $75 monthly per soldier, according to testimonies from journalists and rebel fighters in Syria. Through Operation Good Neighbor, the Israeli military provided more than 1,524 tons of food, 250 tons of clothes, 947,520 liters of fuel, 21 generators, 24,900 palettes of medical equipment and medicine. Reports first surfaced of Israel providing arms and cash to rebel groups several years ago. The regime of Bashar Assad claimed Israel was providing arms to terrorist groups, and that its forces regularly seized arms and munitions stamped in Hebrew. Israel has repeatedly warned against Iran’s entrenchment in Syria, has stressed that the country cannot serve as an Iranian forward operating base, and warned against Damascus becoming a way station for arms smuggling to Hezbollah in Lebanon. While Israel’s military had been carrying out operations against Iranian targets in Syria for several years, its extent only became public after an IAF F-16 was downed by Syrian air defenses in February. On Monday, the military announced that in the past year and half alone, Israel has carried out 200 strikes against Iranian and Hezbollah targets in Syria. Last year former Israel Air Force head Maj.-Gen. (res.) Amir Eshel stated that the IAF carried out 100 airs trikes in Syria over the past five years. The Syrian army, backed by Russian airpower and Iranian Shi’ite militia fighters, has recaptured large swathes of territory formerly held by rebels, and is now believed to have control over 70% of the war-torn country. U.S. military officials confirmed Thursday the seizure of more than 2,000 Iranian arms stockpiles that had been stashed on a mystery ship floating in international waters near the Gulf of Aden. The seizure of the ship was first announced last week, but at the time Central Command officials said the origin of the weapons was unclear. The stateless skiff was first discovered floating in the Gulf of Aden on Aug. 28. This is the fourth weapons seizure in the area since 2015. Never a truer word has been said. US President Donald Trump spoke once again of his “personal connection” to Judaism on Thursday, as he held a telephone call with American Jewish leaders to mark Rosh Hashanah — the Jewish New Year which begins on Sunday night. “I am the very proud father of a Jewish daughter, Ivanka, and my son-in-law, who I’m very proud of also — I will say that very loudly — Jared, and my several Jewish grandchildren, namely three beautiful Jewish grandchild that I love,” Trump declared. Over a period of 20 minutes, the president spoke glowingly about Jewish contributions to the US, his efforts to broker a peace deal between Israel and the Palestinians, the recent deportation to Germany of Nazi collaborator Jakiw Palij, and his determination to combat antisemitism in America. “Over the centuries, the Jewish people have suffered unthinkable persecution, yet you have not only endured, you have thrived and flourished as an example of humankind,” Trump said. “I think the answer to that is a very strong yes,” Trump responded. While there was no discussion of the current storm over an anonymous oped by a White House official in The New York Times that accused Trump of acting “in a manner that is detrimental to the health of our republic,” Trump was candid in his explanation of his evolving policy toward Iran.